www.medfab.com | our history of commitment | the medford advantage | customers | operations and products | linecard | employment opportunities | directions | questions? Corporate offices and the Medford plant are located on twelve acres in Medford, Oregon. Take Exit 30 (Medford / Crater Lake). As you come off I-5 turn right onto Crater Lake Highway 62 and stay in the left lanes, under City Center, Hwy 99 S sign for 1/4 mile, turn left at signal onto Court Street, Hwy 99 S and proceed 1/2 mile, crossing McAndrews Road. The offices will be on your right at 1109 Court Street. Take Exit 30. As you come off I-5, turn left at the signal light. Get in the left lane, and at the third signal, turn left onto Court Street. Get into the right lane, and go approximately half a mile crossing McAndrews Road. The offices will be on your right in half a block at 1109 Court Street. .Take exit 30 ( Medford / Crater Lake). As you come off I-5 keep left and turn left. On Crater Lake Highway 62 get in center lanes and continue straight ½ mile, under Jacksonville Highway 238 sign, get in left lane and turn left at signal on North Central Avenue. Proceed ½ mile to 1242 North Central and turn left into yard. We monitor CB Channel 25. Click on link below for map to shipping location. Take exit 30 ( Medford / Crater Lake). As you come off I-5 turn right onto Crater Lake Highway 62 and stay in middle lanes, under Jacksonville Highway 238 signs, get in left lane and turn left at signal on North Central Avenue. Proceed ½ mile to 1242 North Central and turn left into yard. We monitor CB Channel 25. Click on link below for map to shipping location. From the rental car area turn onto Airport Road. Go to the stop sign and turn left onto Biddle Road. Take Biddle Road to the intersection of E. McAndrews. Turn right and get into the left lane. At the third signal turn left onto Court Street, and get into the right lane. 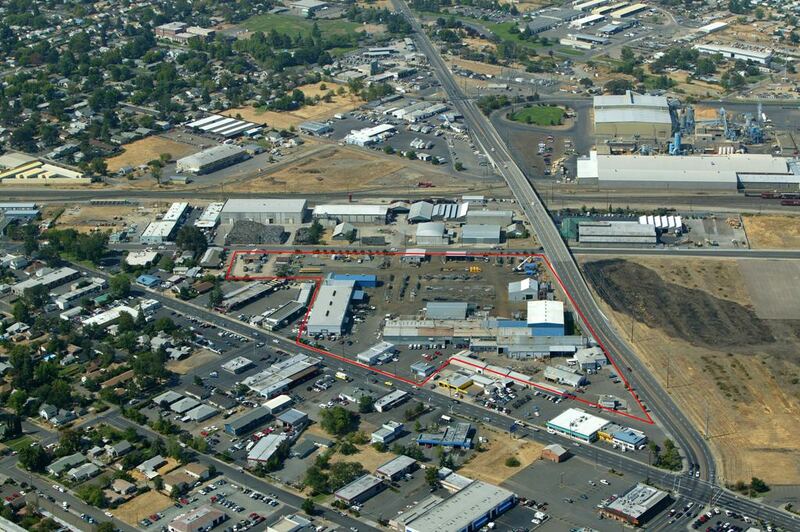 Medford Fabrication is approximately half a block on the right. The offices will be on your right in half a block at 1109 Court Street. From the rental car area turn onto Airport Road. Go to the stop sign and turn left onto Biddle Road. Follow Biddle Road until you see a Motel 6 on the left side. The Rogue Regency is just past Motel 6 on the left. Take Biddle Road to the intersection of E. McAndrews. Turn right and get into the left lane. At the third signal turn left onto Court Street, and get into the right lane. Medford Fabrication is approximately half a block on the right. The offices will be on your right in half a block at 1109 Court Street. © 1999 -- 2008 by Medford Fabrication, CSC, Inc. All rights reserved worldwide. Questions about this site? Webmaster.